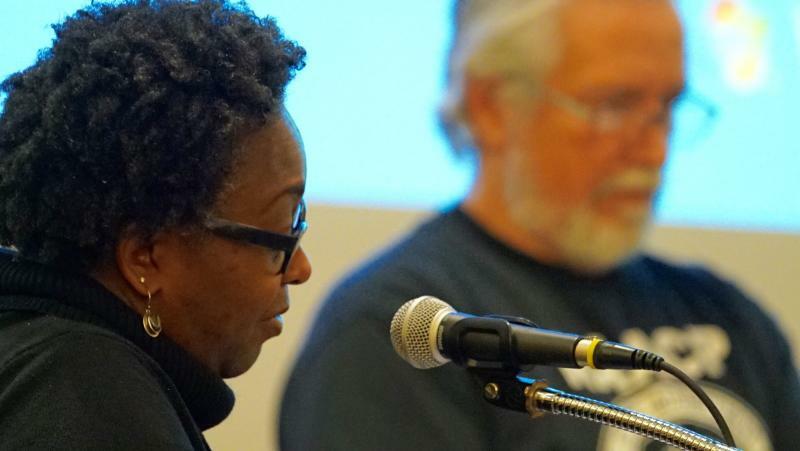 KHSU’s Thursday Night Talk hosted an emotional town hall-style event on the eve of the presidential inauguration at Humboldt State University’s Kate Buchanan Room. KHSU's Inauguration Eve Town Hall broadcast, live from Kate Buchanan room. 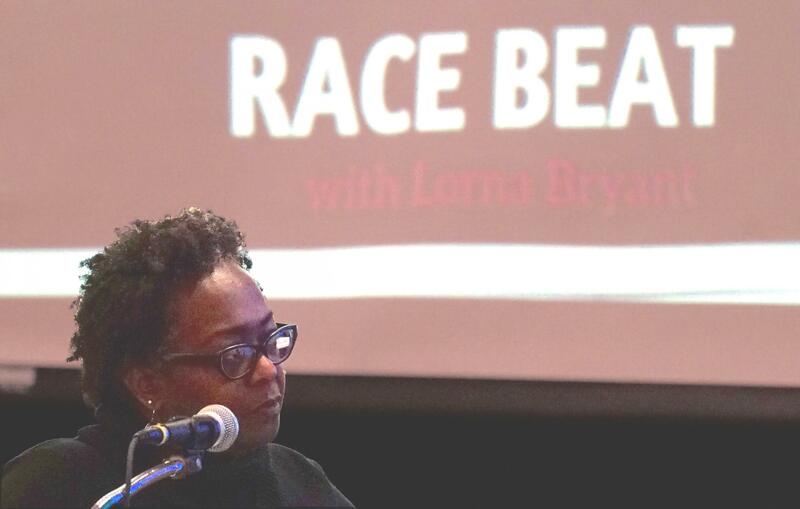 The forum is part of KHSU’s “Race Beat” series, a recurring feature about issues of race in our community, hosted by Lorna Bryant on Thursday Night Talk and other KHSU programs. 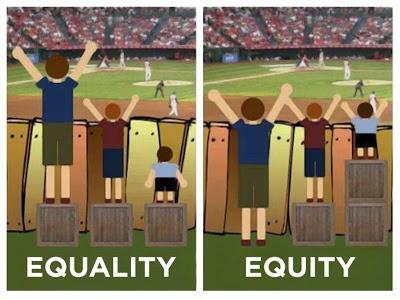 Who says sports, race and politics don't mix well? 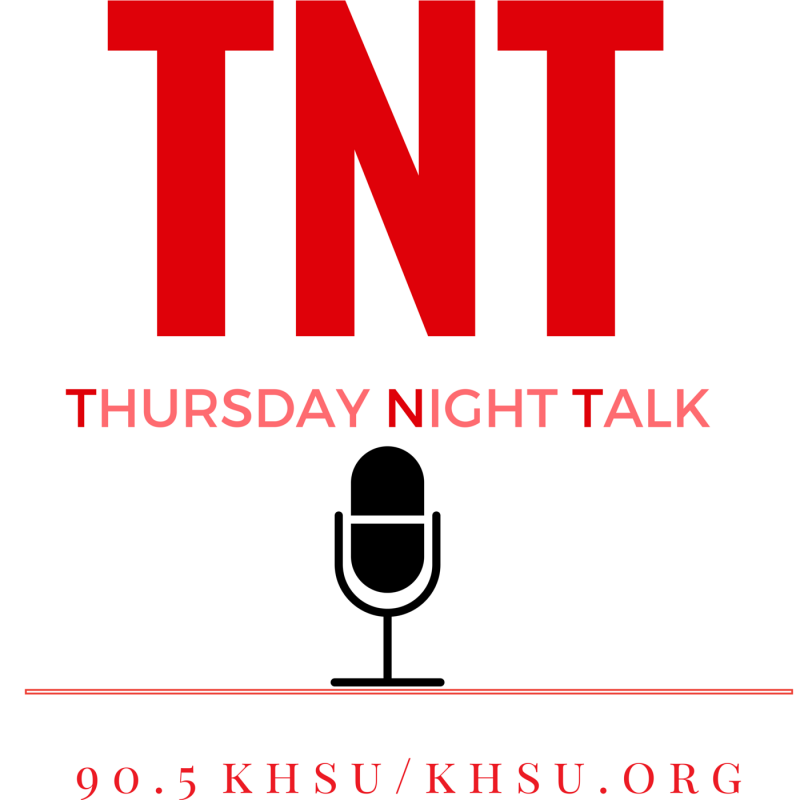 On the next Thursday Night Talk, Doc Stull and Brenda Starr examine sports, as seen through the lens of race, politics and protests throughout our history. 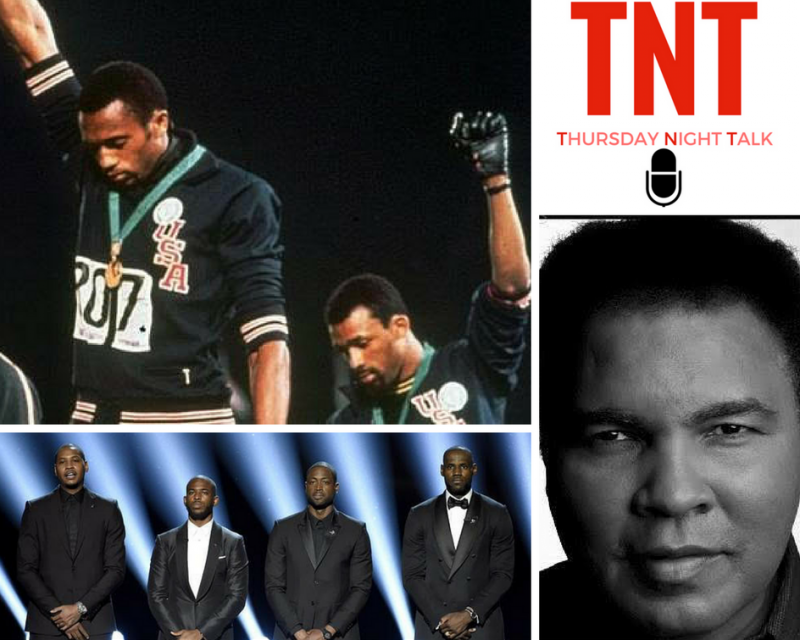 Doc and Starr will discuss the long history of mingling social justice and society in sports... from Jesse Owens to Jackie Robinson to Jim Brown to Muhammad Ali - from John Carlos and Tommie Smith's Black Power salute at the 1968 Olympics to current NBA players speaking out at the recent ESPYS. 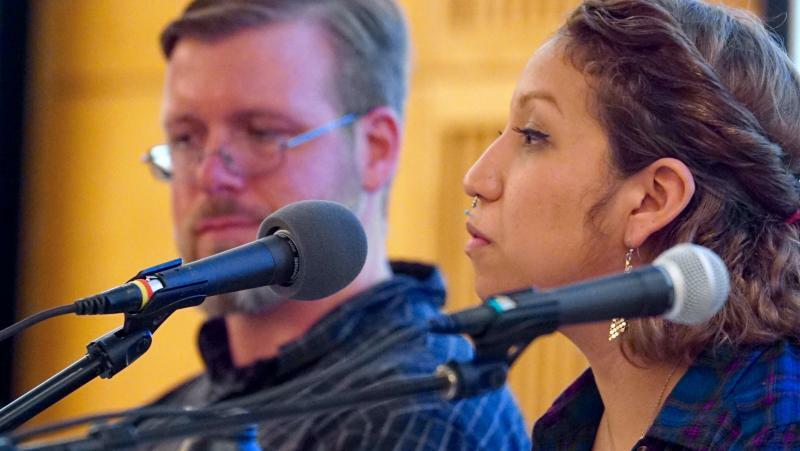 Thursday Night Talk: Is Humboldt County Ready For Changing Demographics? Is Humboldt County ready to embrace its changing demographic? 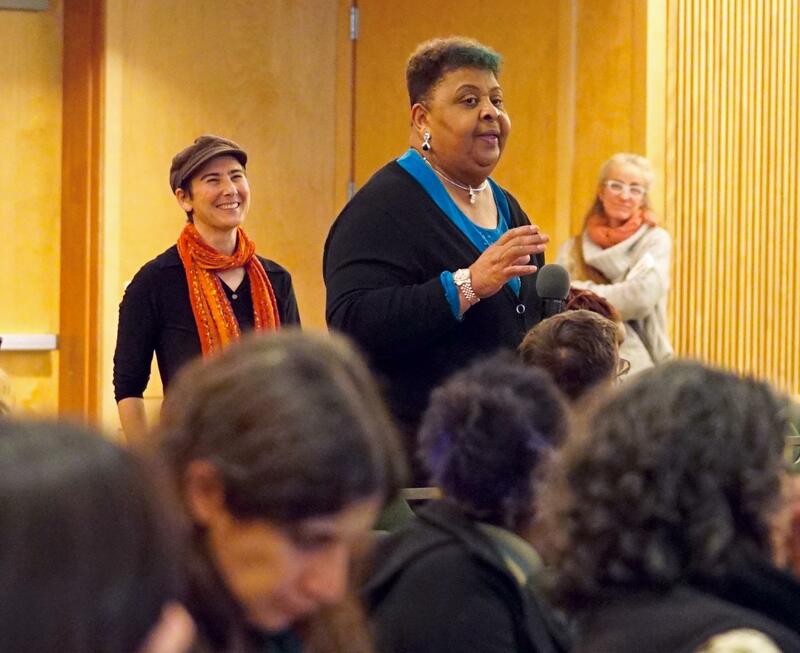 Is Humboldt County a place of cultural and racial equity? Join host Lorna Bryant as she and her guests Dwayne Marsh (Center for Social Inclusion’s Government Alliance on Race and Equity); Darren Arquero (UC Berkeley and Haas Institute for a Fair and Inclusive Society); and Humboldt State University student Malcolm Chanaiwa discuss 'creating a place where we all belong'." 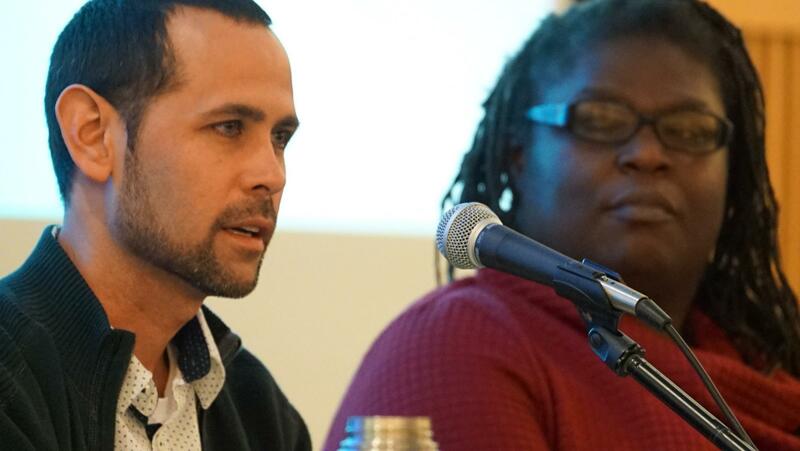 In addition to a wide-ranging discussion about diversity on the north coast, Chanaiwa discussed the local reaction to the 'Sit With Kaepernick' protest, which he helped organize. 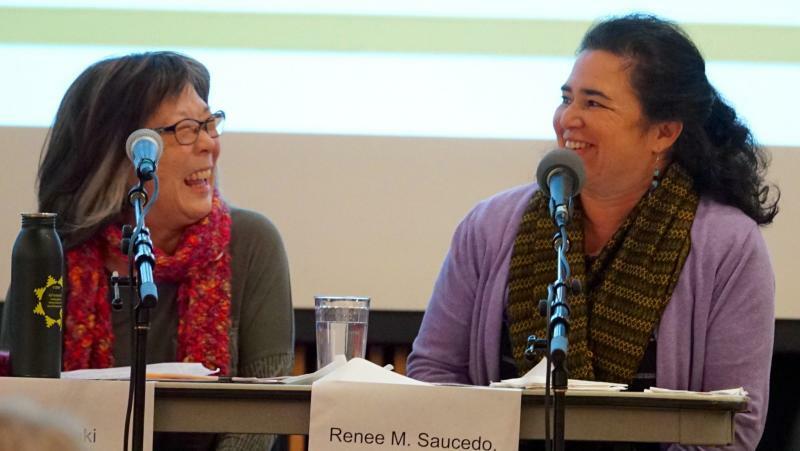 A cultural anthropologist and journalist. 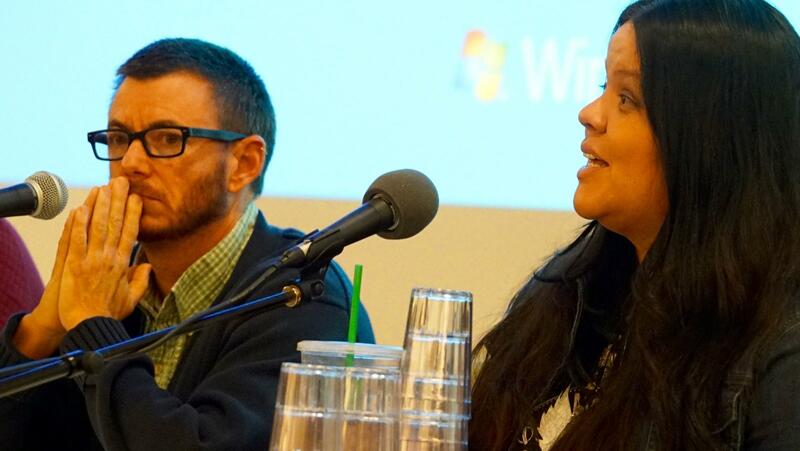 A millennial from South L.A.
Arcata resident Mikey Mathews, HSU professor Kirby Moss and Sgt. 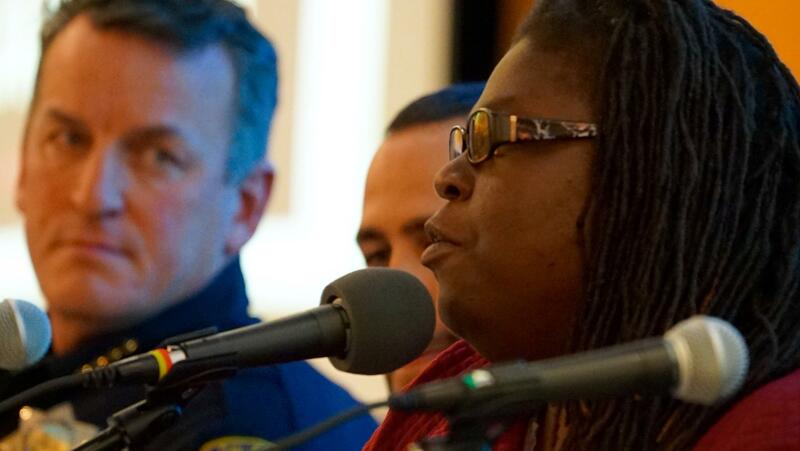 John Packer of the University Police Department joined Lorna Bryant to discuss being Black men in Humboldt. Thursday Night Talk held a town hall-style program last night. 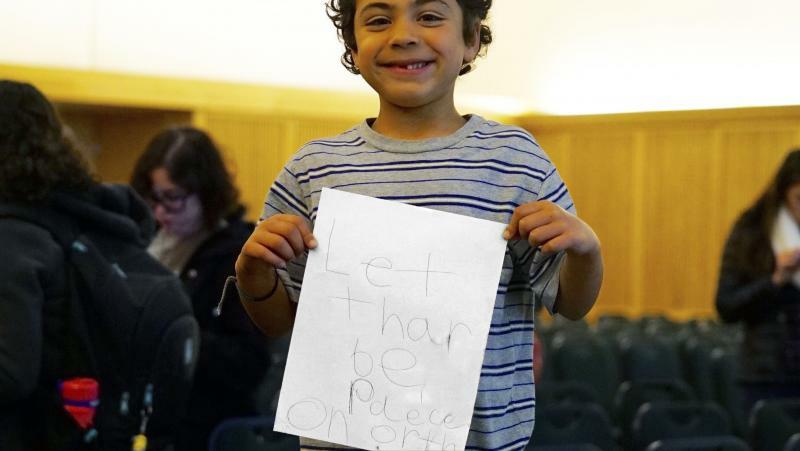 The focus was on local reactions to the recent shootings of People of Color and Law Enforcement and why it matters here. All surrounding issues were on the table.